For my Special Day Classrooms, I do some form of whole class or co-teaching service delivery model. 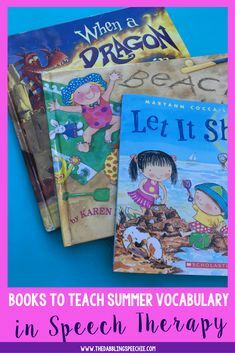 When I plan lessons for my whole class lessons, I definitely re-use those materials for my small group instruction as well. 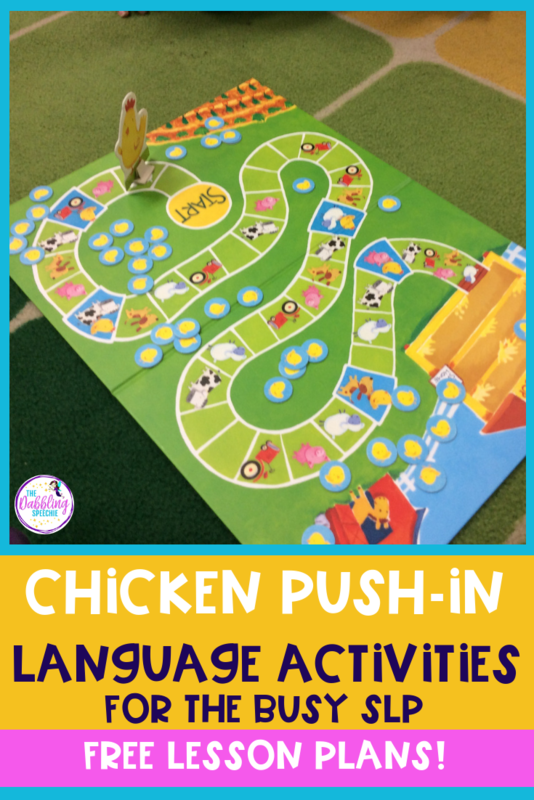 Today, I will be talking about how to implement the chicken speech therapy activities in a push-in format. 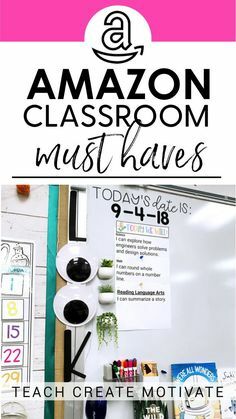 But, if you don’t currently do a push-in model, you can still use these ideas in small groups. That’s the beauty of planning effective whole class lessons, because they work for small groups too (lesson planning made easy). 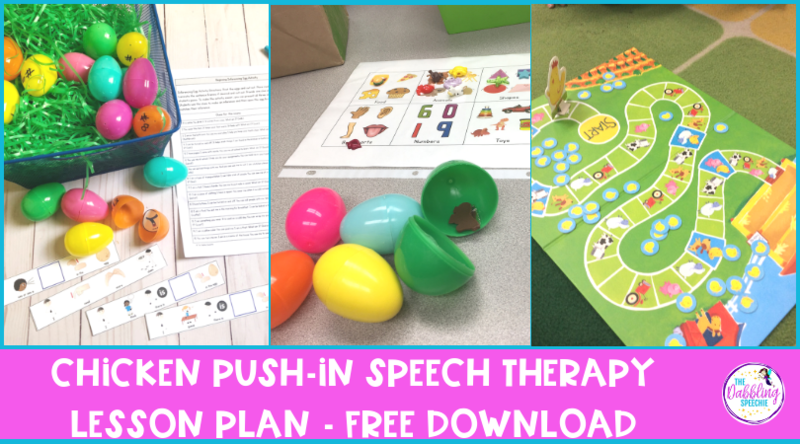 If you are looking for information about how I set up my push-in lessons, check out this blog post HERE. We start the lesson introducing the theme and reviewing behavioral expectations. Then, the teachers and myself run three different stations that last for 10 minutes each. 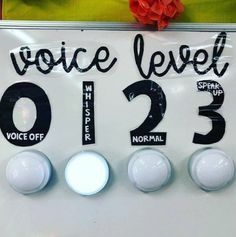 When it is time to transition to a new station, I set off a timer and use visuals to help remind students when they have to wait/go to the next station. 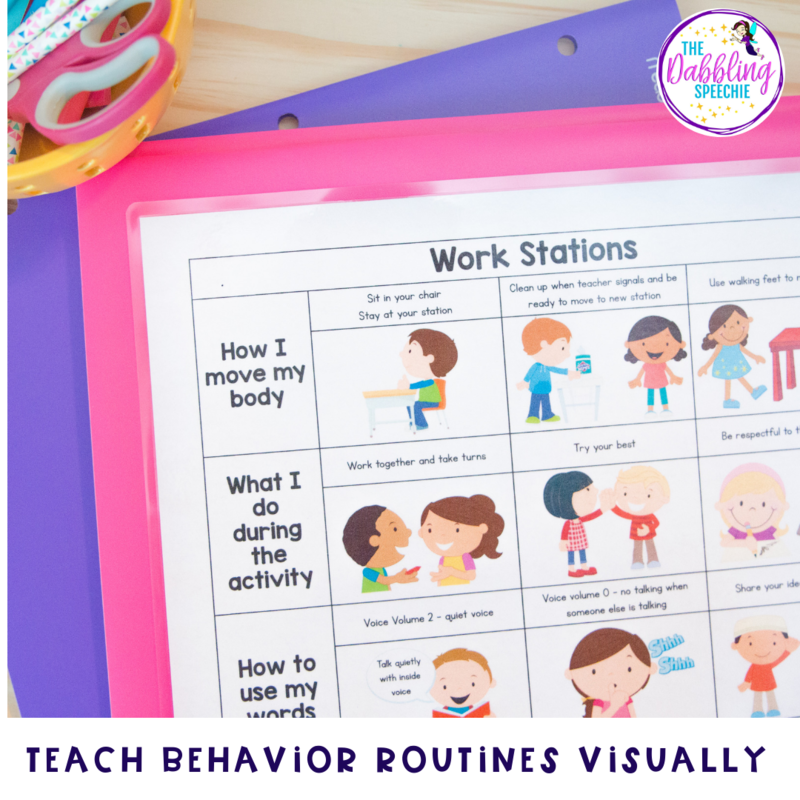 You can read more about teaching behavior expectations HERE. After the stations, I read a book. 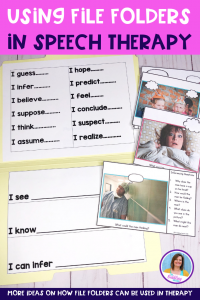 During this time, I call on students with wh-question goals, emphasize key vocabulary, and try to get my students working on verb concepts to share about what they see in the pictures. 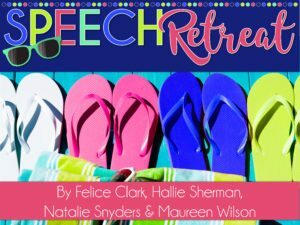 After I read the book, we do a Google Slide presentation about the theme. 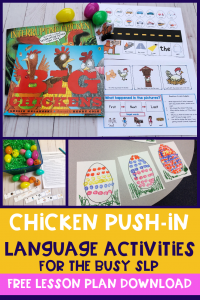 You can do an Anchor chart describing everything about chickens. 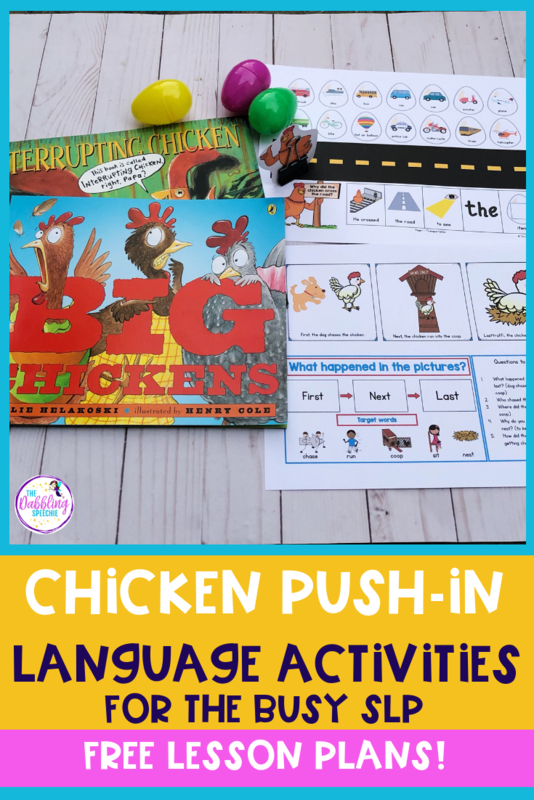 You can include chickens “can” (i.e. Chickens can run. ), “have” (i.e. Chickens have feathers. ), chickens “are” (i.e. Chickens are animals.). 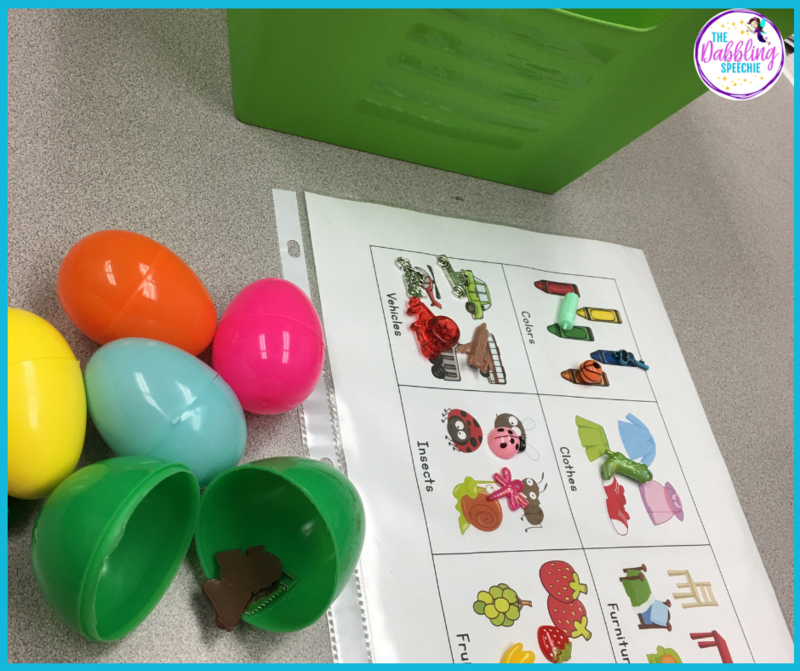 We play “Who has the egg?” I print out eggs or baskets and hide the eggs in the students’ hands while everyone has their eyes closed. Then, they open their eyes and students get to initiate a “who” question to a peer or staff member. We play this until all the eggs are found. 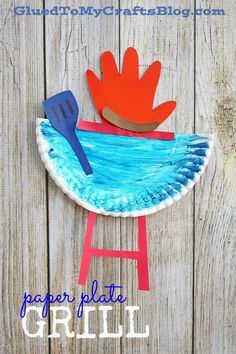 I will also put a chicken or an egg on a popsicle stick and work on the basic concept of the week. So, if I choose “above,” I will put the egg above students’ heads and items in the classroom. 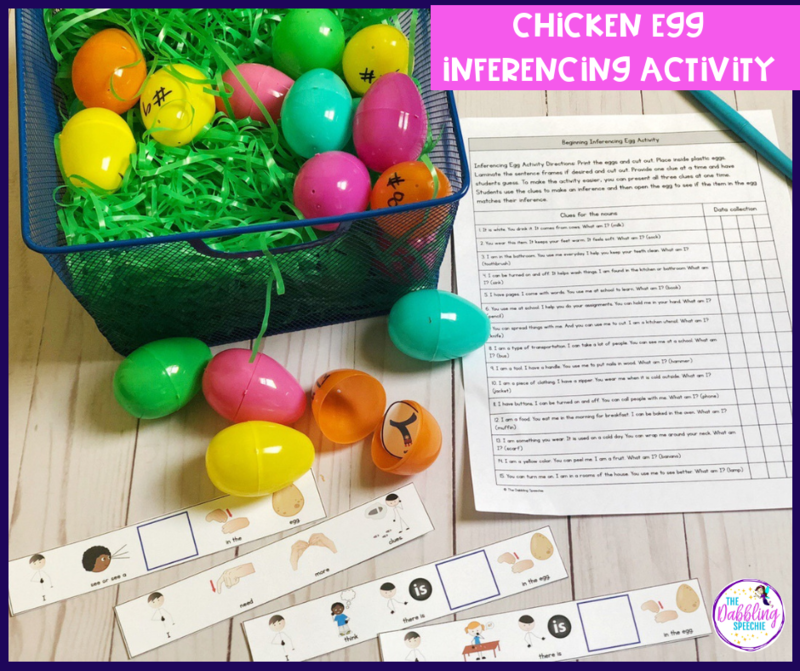 The students have to say “where” the egg is located. Use an ice cube tray and put different colored paints in the tray. Attach pom pom balls to clothespins. 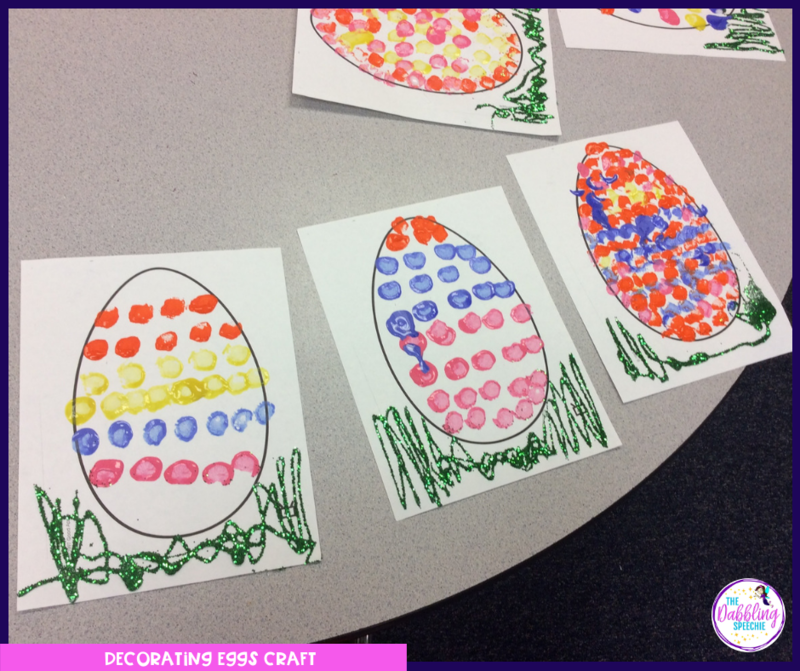 Students can dip the pom pom balls in the paint to make different designs on the egg. You can work on initiating requests, waiting/sharing, asking friends to pass the paint, and talking about the colors. 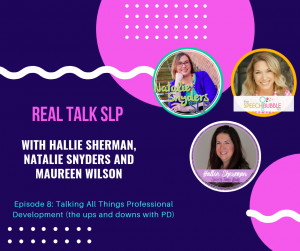 After the students create their craft, they can talk about what they did first, next, last. 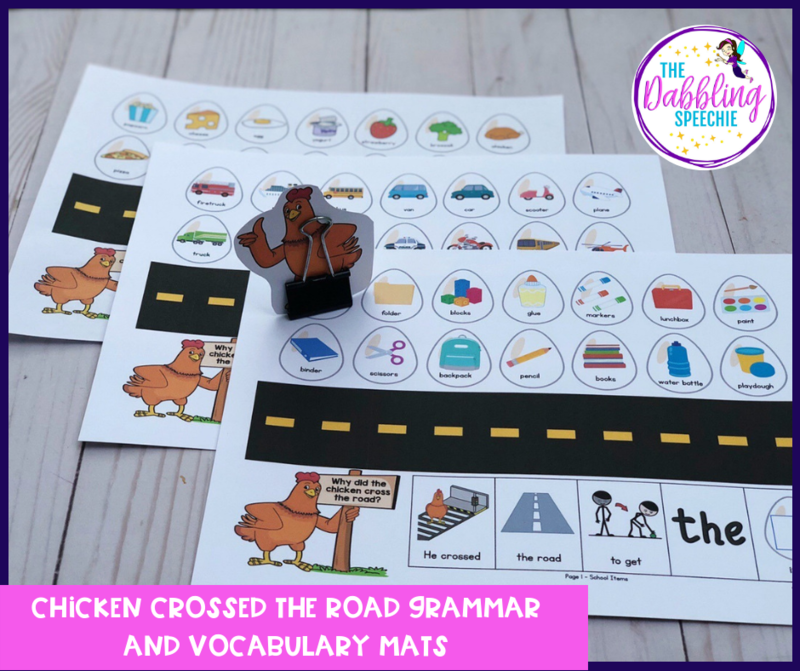 Your students can work on making sentences with correct grammar using these mats. 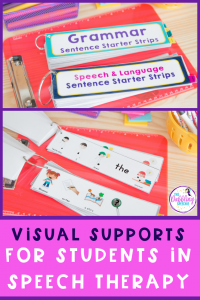 If you have students working on noun-functions or categories, the mats have food, school supplies, and transportation. 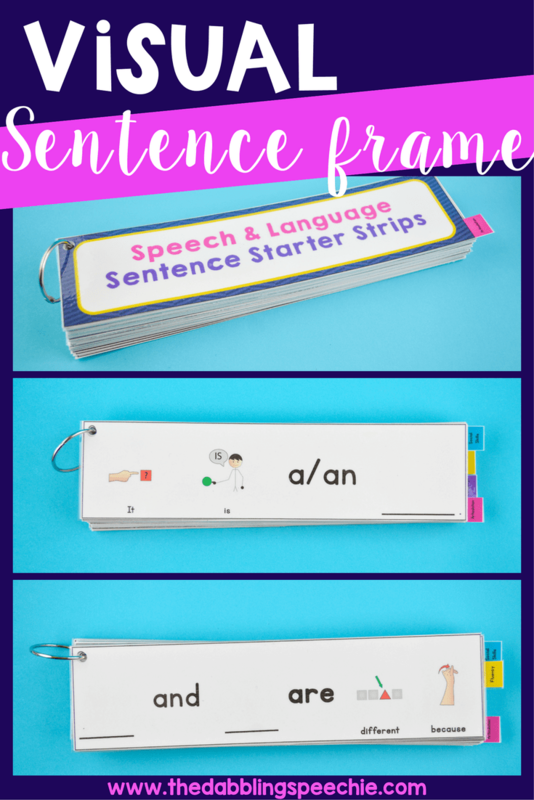 Sentence frames are included to help your friends have greater success with more complex sentences. I love using Dinky Doodads to work on skills. They are the perfect size for eggs. 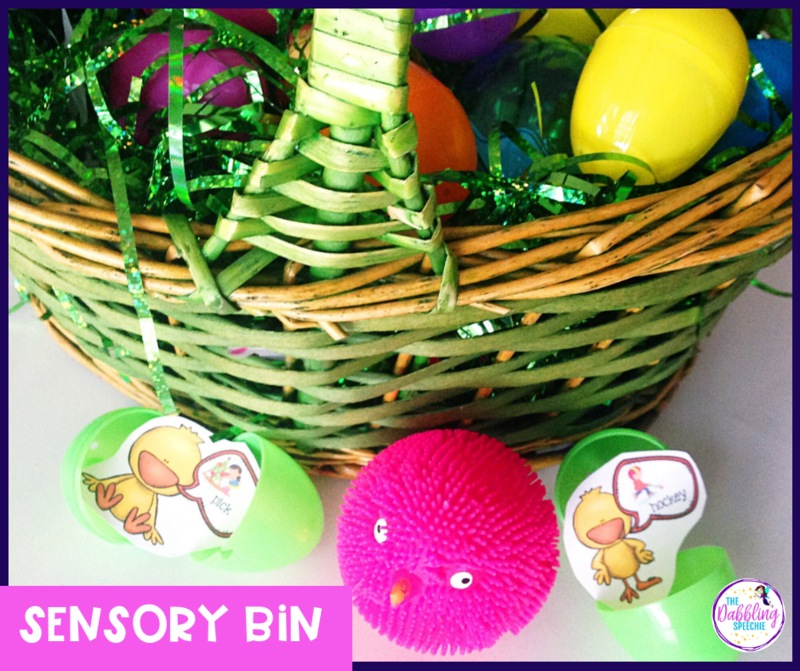 Check out how to use trinkets with plastic eggs HERE. You can also make a baby chick sensory bin to work on language skills. 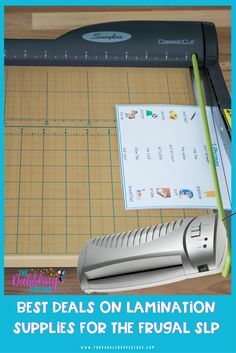 Check out the blog post for how to make it HERE (free printables included). When I use a theme, I try to use the theme for at least two weeks. So, I will interchange some of the activities. 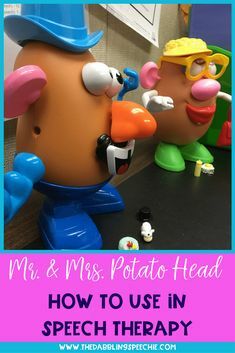 At a station, I will bring in toys or games that can work on social skills and functional language. 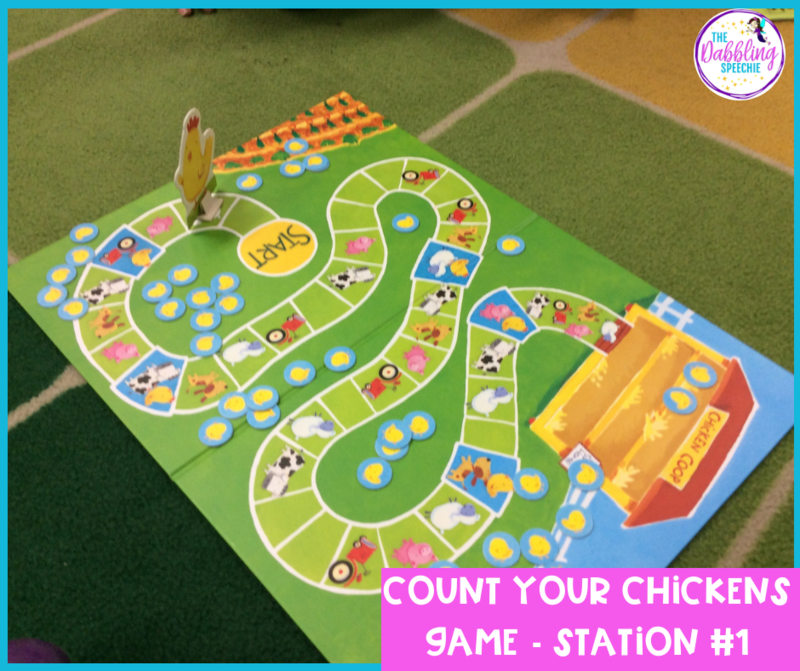 With this cooperative game Count Your Chickens Game, you can target turn-taking, counting more/less/most, and describing the animals. I love Peaceable Kingdom games because there isn’t a winner or a loser. 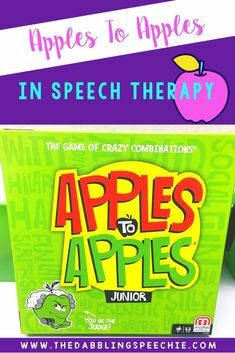 Perfect for our friends that like to win all of the time! 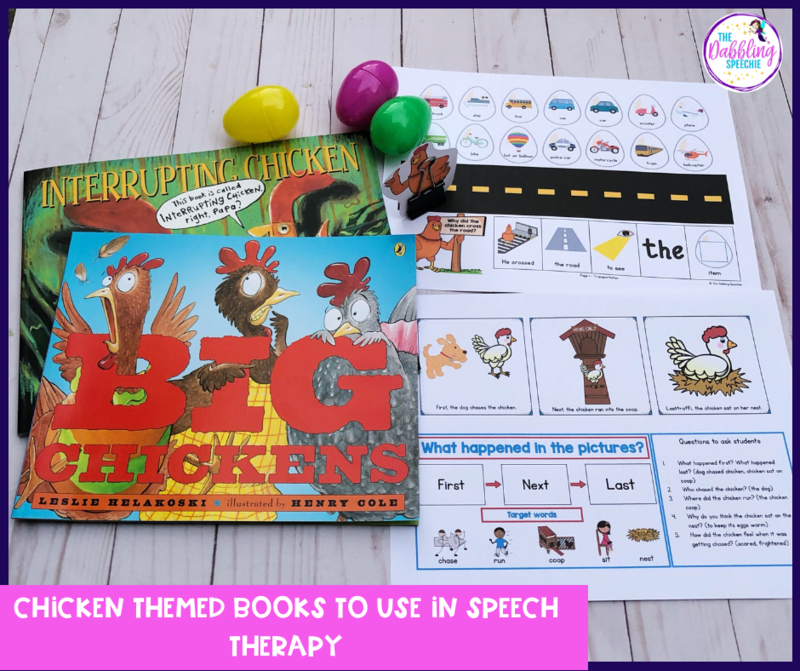 What Chicken Speech Therapy Activities Do You Plan? I would love to know how you plan for therapy! 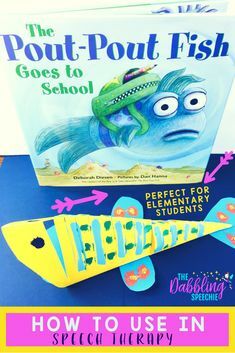 If you have some fun chicken activities, share in the comments or tag me at @thedabblingspeechie. 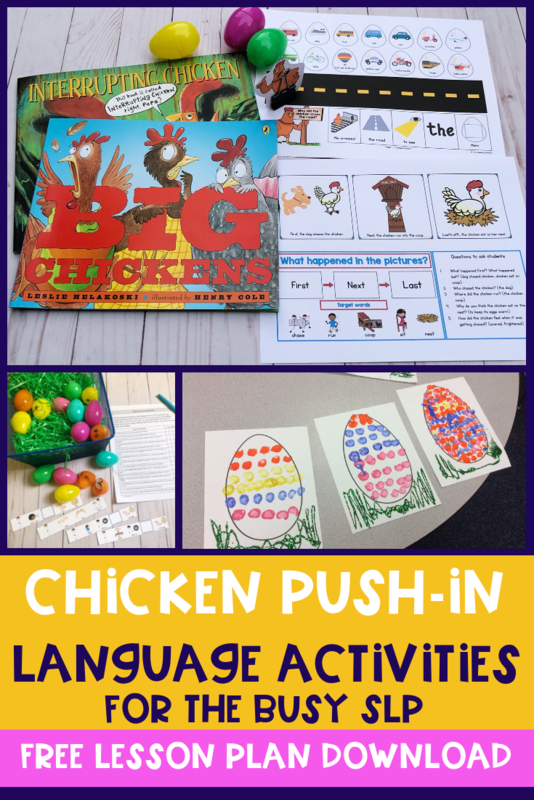 What I love about planning my push-in lesson is that I can re-use the activities in my small group instruction. 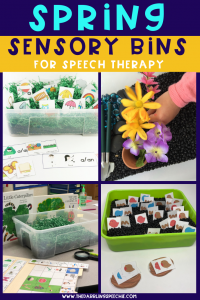 It feels so nice to have effective therapy plans that I can use across many groups.